I’ve been constantly cribbing about the hot and humid weather and guess what? I don’t think it’s gonna stop anytime soon. Sometimes I really envy the level of energy kids have, completely immune to the bad weather conditions. Such quick and easy recipe is a blessing. Simple and fresh ingredients with optimum punch of flavour. 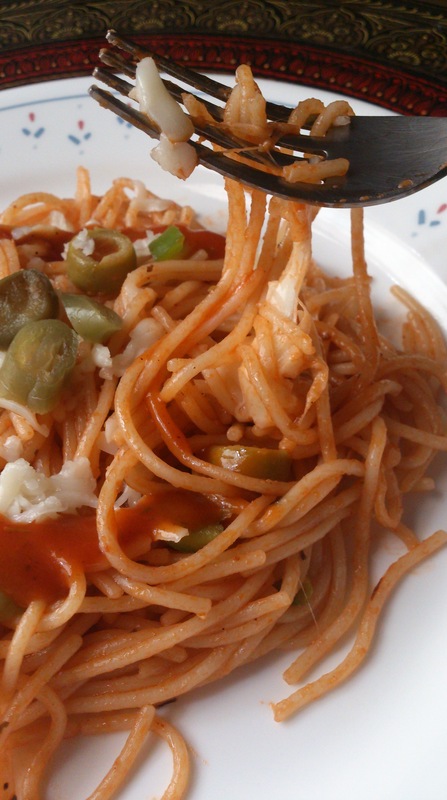 Use your favourite pasta sauce and layer some texture by adding olives and cheese. In a heavy pot heat oil and saute onion till softened. Add crushed garlic and saute for another 5-10 seconds. Add pasta sauce,Italian seasoning, salt, pepper and capsicum. Cook for few seconds. Add olives, cheese and pasta; stir well. Cover the pot and simmer for a minute or two till cheese melts. 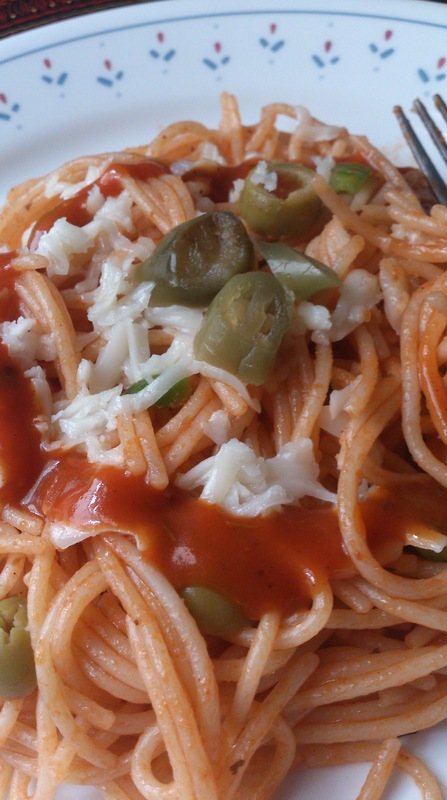 Serve with extra pasta sauce, grated cheese and jalapeno slices if required. I used Knorr’s Italian Tomato Sauce which is a local brand. Use any pasta sauce you like. 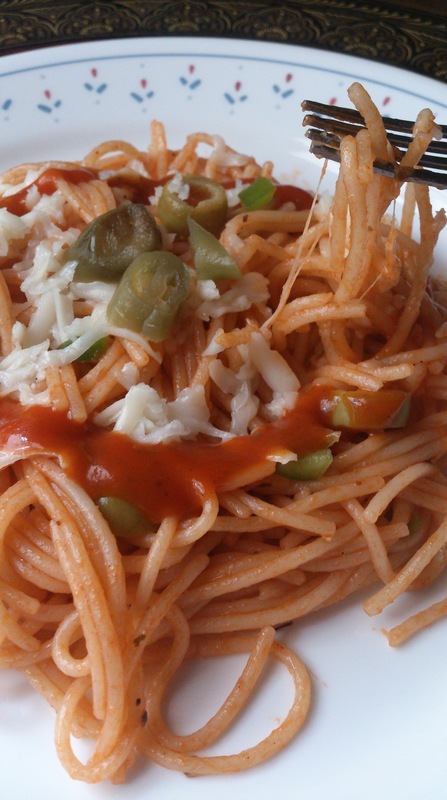 If there is no pasta sauce in your pantry, use tomato puree with some extra seasonings.